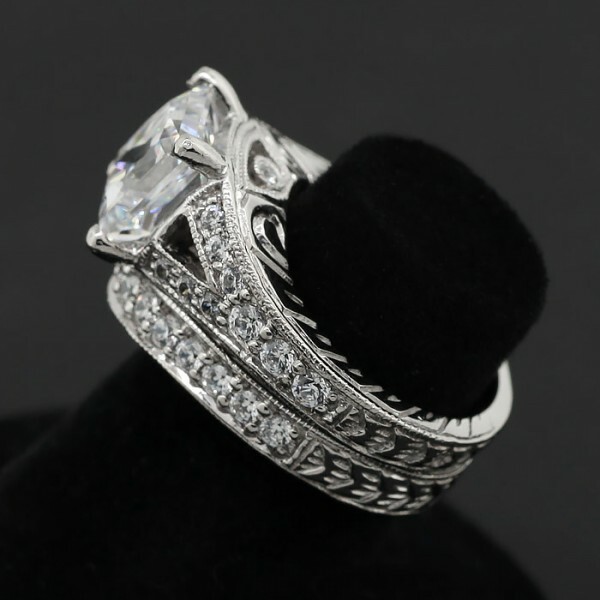 Valencia with 2.40 carat Princess and Matching Band Soldered - Palladium - Ring Size 4.0 was added to your cart. The artisan carved Valencia engagement ring features the extremely popular split band design, encrusted with dozens of pave set accents across the top half for a dramatic yet romantic look at an affordable price. 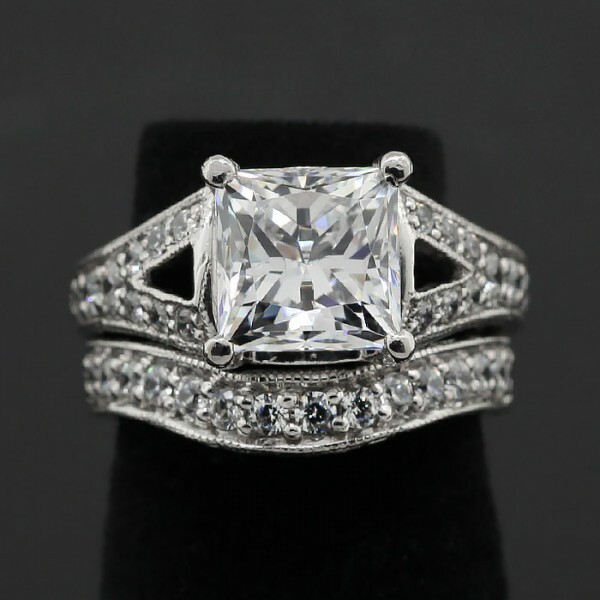 The matching wedding band adds to the look and is soldered to the engagement ring for ease.